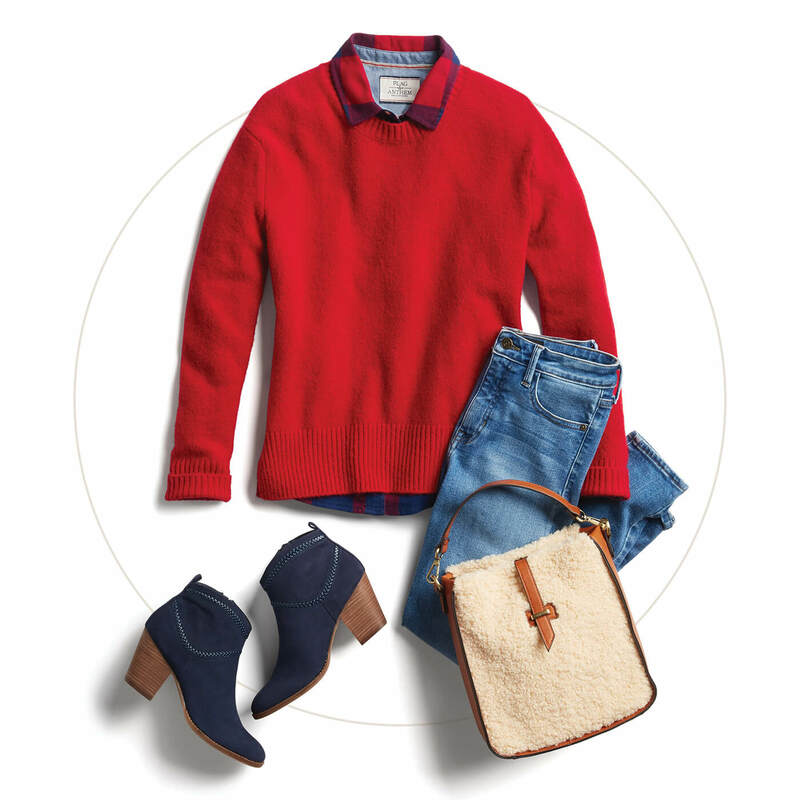 Punch-up your winter closet’s color quotient and enliven your winter wardrobe with vibrant jewel tones when the temperature drops. Whether color-blocked or paired with neutrals, radiant jewel-toned pieces can add depth and elevate to your everyday look. Keep reading to see the audacious colors that we absolutely love this season. What are jewel tone colors? Jewel tone colors are richly saturated hues named for gems including sapphire blue, ruby red, amethyst purple, citrine yellow, and emerald green. This palette is a contrast of intense colors you can wear with neutrals or color-blocked to beam brightly against the stark backdrop of winter and spark the perfect color storm. Blue is associated with serenity and loyalty, and is a top choice to color block with complementary colors like emerald or citrine. Master the art of cool, calm and collected—play with texture by adding soft finishes like faux fur or velvet, which give a sheen to darker colors, like sapphire. Emerald green has an alluringly earthy, mysterious quality to it. It’s one of nature’s most prevalent colors and is associated with creative, productive energy. Emerald is both a go-to, pick-me-up color, and when combined with cream, beige or brown, it elicits a calming effect on the senses. Balance and vitality sum up the paradox of emerald—like a shot of wheatgrass, it’ll really keep you going strong. Purple has long been associated with royalty, bravery and excellence. It’s no wonder why it was adopted as the official color for International Women’s Day. Purple is a combination of red (for stimulation) and blue (for serenity), making it the perfect color dichotomy. 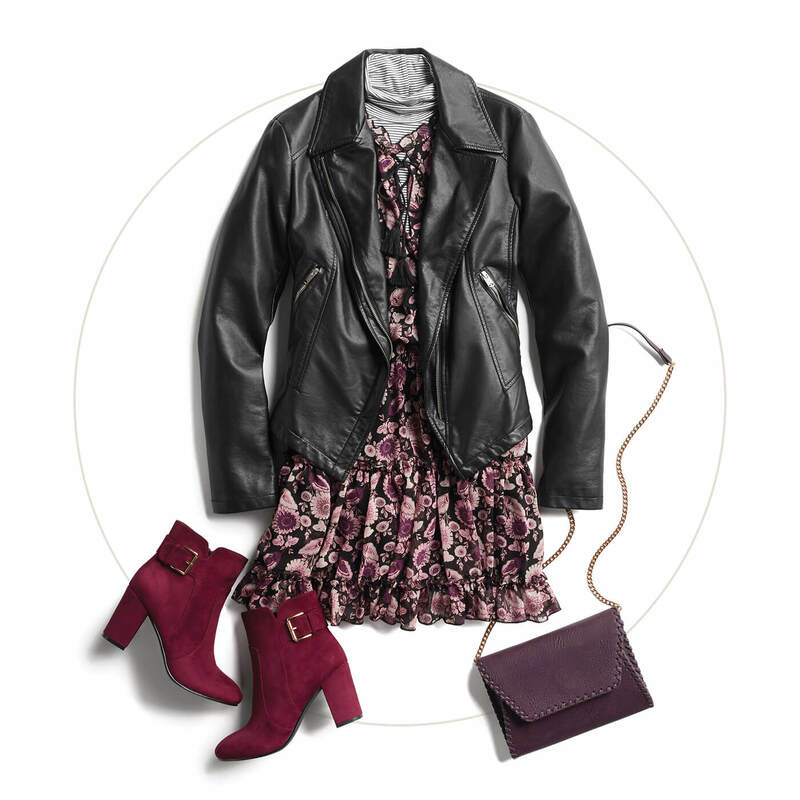 If you want to add a bit of intensity to your wardrobe, we suggest mixing in darker, saturated amethyst pieces like a flared dress with monochromatic, matching bag and shoes. Ruby red is as captivating as it is brilliant and is often associated with power, status and desire. Whenever you need a confidence boost, reach for red. It’s the perfect color in which to practice your Superwoman stance at your mirror before heading off to conquer your day. 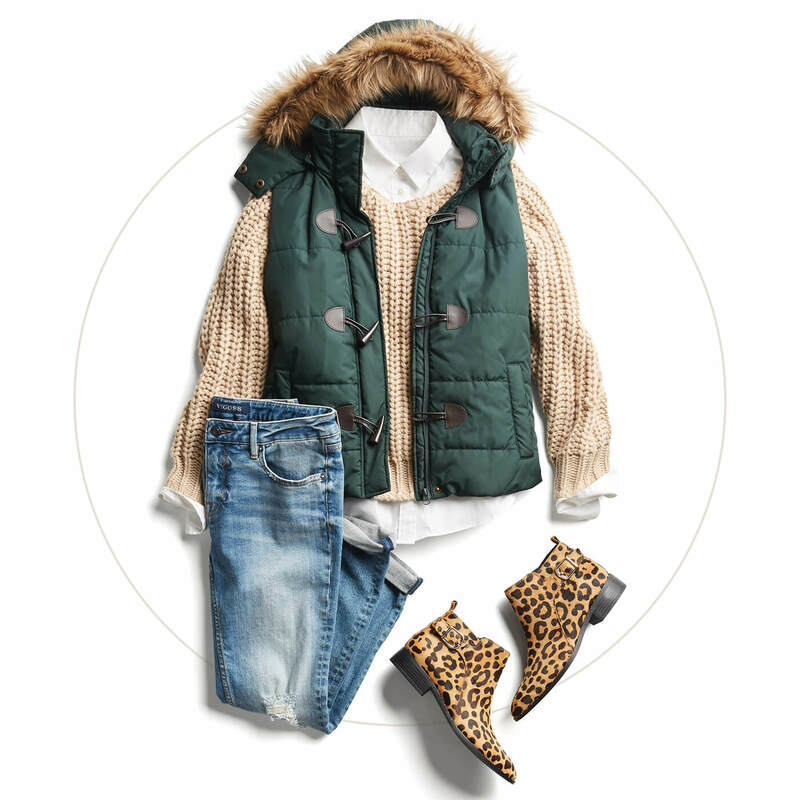 And be sure to go darker with your pairings, like a mid to dark wash jean with dark booties to anchor the look. Citrine is one of the most versatile colors of the jewel tone family and will attract attention to its wearer. Brown or gray slacks with a citrine cowl neck sweater are perfect for work. Oxblood loafers and lighter denim jeans create a preppy meets earthy weekend look. How do I add jewel tones into my wardrobe? 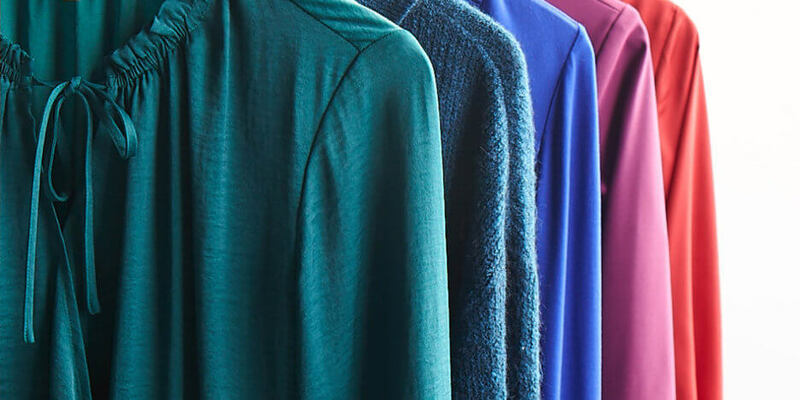 While most people are dialing down the style factor in the winter months, jewel tones do the exact opposite and are super easy to incorporate into your wardrobe—because a little (color) really goes a long way. When in doubt, let your accessories do the work for you by adding surprise pops of color throughout your look, so as not to overwhelm. A statement bib necklace with emerald colored stones, understated gold stud earrings and a ruby, round neck pullover with a collared shirt and jeans is a way to balance the flash of a showy neck piece with a casual look. One stand out piece, like a bright peplum top or silky jewel-tone blouse (which you can layer with a soft 3/4 sleeve sweater), is the bump you need to infuse more color into your cold-weather wardrobe. Nothing quite says I’ve arrived like a stunning jewel-tone dress in which to twirl the night away (or day—no judgment here). Live your best, good-feeling life in a whirlwind of opulent color. Dresses can be winterized by layering tights and camis underneath, and a sweater coat or faux fur jacket to your outer layer. Winter can be dreary, but that’s all the more reason to ask your Stylist to send you an infusion of jewel tones in your next Fix!